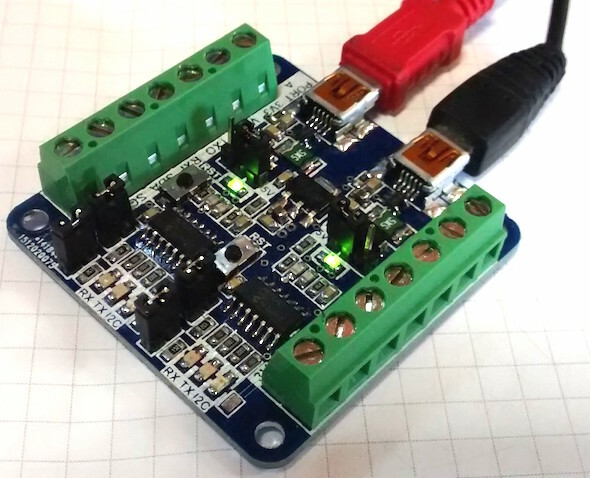 Jesus Echavarria‘s new project is a dual USB-to-UART/I2C serial interface board using two MCP2221 chips. This board can be used for debugging UART TX and RX lines as well as providing an USB connectivity in applications that have UART and I2C interfaces. With the help of Microchip’s free PC utilities, you can customize the MCP2221 identifiers and GPIO pins as well as directly communicate with any UART and I2C devices from its GUI interface for rapid prototyping with those devices. MCP221 USB/Serial bridge (A): the basic connection for the MCP2221 converter. It has a small R-C filter on USB lines and a Reset pushbutton. In addition to USB/Serial converter, MCP2221 also has the feature to convert from USB to I2C master device. 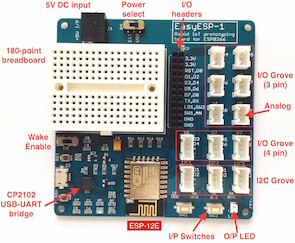 So, you can connect I2C slaves to this device and communicate with they (check the SW point). For the I2C communications, I let two jumpers to enable/disable the I2C pull-up resistors. Finally, I use GP0,GP1 and GP3 signals as a led’s indicators (low level active, default configuration). So GP0 lights when it receives a data over the serial port (red led). GP1 lights when transmit a data over the serial port (yellow led). And GP3 lights when there’s communication on the I2C port (green led).